S & H *** U.S.A. >> Dependent upon shipping location. Email me for shipping quote. These are fresh ( September 2013 ) Horse Chestnuts. All I did was peel the husks. SEASONAL ITEM --- Email orders only. SEPTEMBER through OCTOBER is expected time of availability. As in prior years, I will accept orders ahead of time. Just email me and let me know how many dozen you wish to purchase. Payment will be due after my notification to you that your order can be filled. The minimum order is 2 dozen. # 11-2-2 - White Oak Acorns - @ $3.00 / Lb. # 11-2-3 - Red Oak Acorns - @ $2.00 / Lb. # 11-2-5 - Sawtooth Oak Acorns - @ $3.00 / Lb. 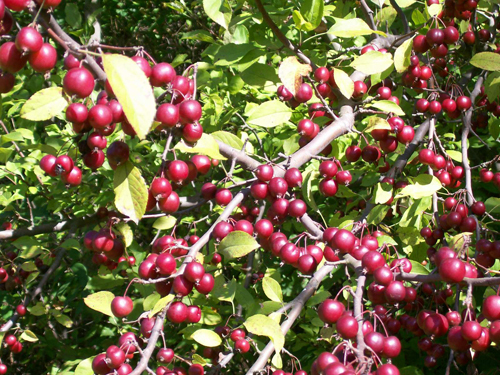 # 11-5-6 - Wild Red Crabapples - @ $3.00 / Lb. 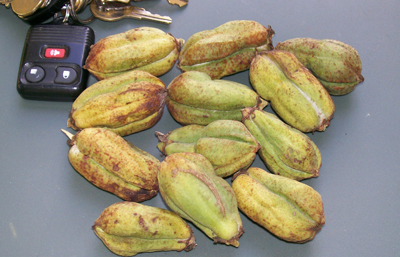 # 11-2-7 - Yucca Seed Pods - @ $2.50 / Doz. 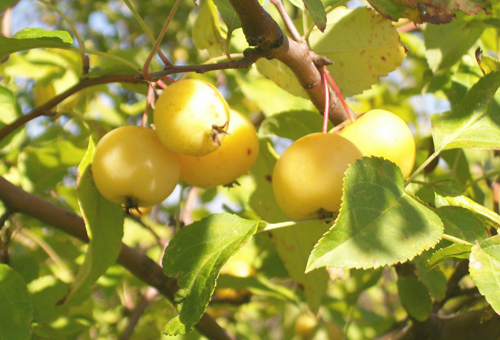 # 11-5-8 - Wild Yellow Crabapples - @ $3.00 / Lb. 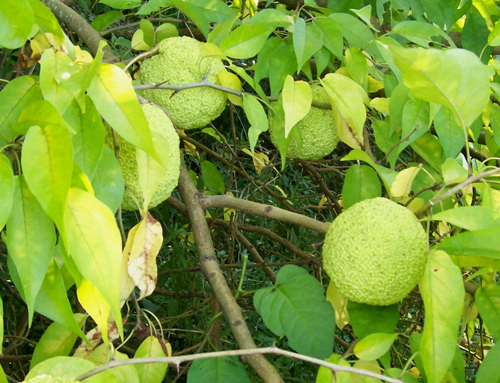 # 11-3-9 - Osage Orange Balls - @ $.80 / ea. # 11-4-10 - Maitake ( fresh ) ( Sheep's Head mushroom ) - @ $5.00 / Lb. # 11-4-11 - Maitake ( dehydrated ) ( Sheep's Head mushroom ) - @ $3.50 / oz. 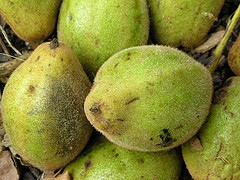 # 11-1-12 - Black Walnuts - @ $3.00 / doz. # 11-1-13 - Wild American Hazelnuts - @ $1.50 / doz. # 11-2-14 - Tanoak Acorns - @ $1.50 / doz. # 11-1-15 - Horse Chestnuts - @ $3.00 / doz. 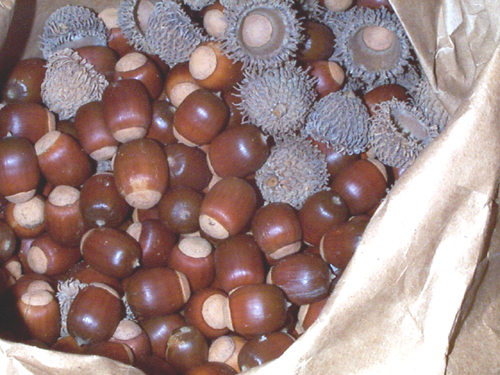 Similar items: acorns,american hazel,black walnuts,buckeye,butternuts,chestnut,crabapples,fresh american hazelnut,fresh sheep'shead mushrooms,hazelnuts,horse chestnut,osage orange balls,red oak,sawtooth oak,swamp white oak,tanoak,walnuts,white oak,wild crabapples,yucca,yucca seed pods.